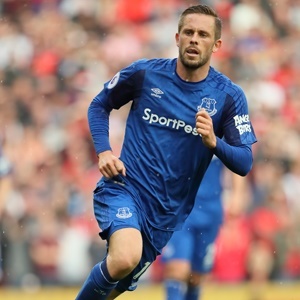 Cape Town - Everton playmaker Gylfi Sigurdsson is confident that the Toffees have what it takes to get back onto the winning trail in the Premier League this season. Ronald Koeman's charges were humbled by Manchester United on Sunday, losing 4-0 at Old Trafford, but Sigurdsson, who signed from Swansea in the off-season, believes they will bounce back quickly. Everton have now lost three consecutive league games, against Chelsea, Tottenham, and United. Their next fixture is an EFL Cup clash with Sunderland before hosting Bournemouth in the Premier League. Asked if Everton's new signing are gelling together, Sigurdsson told Evertontv: "Yes - it is hard to say that after a 4-0 loss but we will stay together, stay positive and keep working. "A lot of us have been in this kind of position before - where things are not going your way. It does not look too good at the moment but I know we are more than good enough to turn this around. "And I think with the staff and the players we have, and the will within the team and the players, eventually we will turn this around."